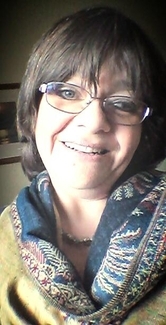 About meHi I live in Birmingham, UK and am an active and very keen bookcrosser. I love reading and adore books. I collect Agatha Christie 1st editions - although I can't afford the very rare ones -and they are cataloged here too. About my libraryAll the books I put on Librarything will be books I see as my permanent collection - and so either not registered on bookcrossing or not up for swapping just yet. Therefore there will be far fewer books listed here than on bookcrossing.com but the ones here will be my most beloved and precious books.